Amethyst is the purple variety of the mineral quartz. For centuries it has been prized for the vivid purple tones it comes in. Amethysts are fit for a queen, yet affordable enough for everyday wear. 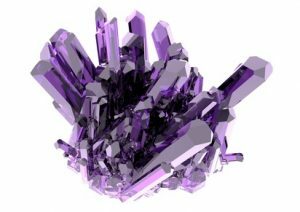 That is why you will find amethysts prominently displayed in everything from the crown jewels, to the affordable sweetheart ring on a young lady’s hand. In addition to being the birthstone for the month of February, amethysts are also the traditional gemstone for the 6th and 17th wedding anniversaries. But regardless of the month a person is born in, or the number of years a person has been married, a gift of amethyst jewelry will always be well received. If you want to make someone feel like royalty, stop into Amoskeag Jewelers today and let us help you select an affordable piece of amethyst jewelry that is fit for a queen. Is it time to trade in your jewelry? Are you getting tired of wearing the same old pieces of jewelry? Are you thinking it’s time for a change? You may want to consider trading your old jewelry in for something new. Many times people have a jewelry box full of unworn pieces of jewelry that have been forgotten about. A trade can be the perfect way to update your look without spending a lot of money. 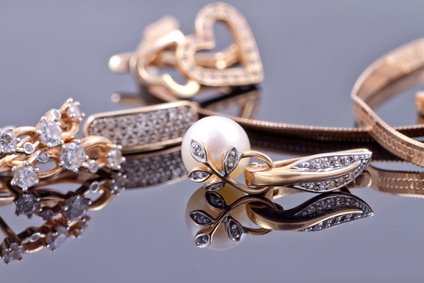 Instead of letting old unworn jewelry accumulate in the back of your jewelry box, bring your items into Amoskeag Jewelers today. We are always looking to take items in trade or to purchase them outright. If you are looking for a new more current style without spending a lot of cash or if you are looking for a little bit of money in your pocket, the staff at Amoskeag Jewelers will be happy to help. The month of October has two beautiful birthstones to pick from, tourmaline and opal. Both have been prized for centuries partly due to some unusual features. In some tourmalines, the color can be different depending on the viewing angle. It can also commonly be found with two or three distinct color zones in one piece, this is called bi-colored or tri-colored tourmaline. Tourmaline comes in a wide variety of colors, but typically the pink variety is associated with the month of October. Opals are best known for the intense play of color that they display. Inside one opal you can find every color of the rainbow. This trait makes opals unique in the world of gemstones. Opals are available in a large array of colors but are most commonly found in the white and green varieties. If you are looking for a gemstone to represent the month of October, stop into Amoskeag Jewelers today. Let our team help you choose the perfect piece that will be prized for years to come. Ruby is the birthstone for the month of July. Rubies are from the mineral species Corundum, the same species as Sapphire. When the mineral Corundum is pure, not having any other trace element present, the result is a gemstone without any color. When Chromium is present the result is a beautiful red tone. 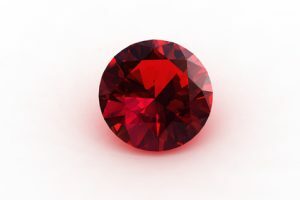 A red specimen of Corundum is classified as a ruby. Just like other quality gemstones. Rubies are graded by the four C’s – Color, Clarity, Cut and Carat Weight. 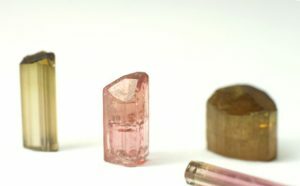 All of these factors are considered when grading a ruby, but in the end color has the most significant impact on the desirability and the price of a ruby. Do you have a ruby that you would like to have appraised or are you interested in purchasing a beautiful ruby of your own? If so please stop by Amoskeag Jewelers today. One of our trained jewelry professionals would be glad to help. Spring is in the air and many couples are planning the final wedding details for their big day. The engagement ring may have been purchased long ago but what about the wedding rings? In the United States a wedding ring is considered a must for most married couples. 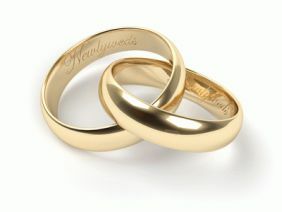 The wedding ring is an outward symbol of the eternal love and devotion a couple share. Many people choose a traditional metal such as gold or platinum when selecting a wedding band. 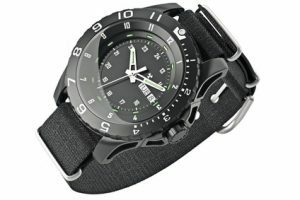 But there are also some great alternative metals like tungsten carbide that may be worth considering. At Amoskeag Jewelers we have an extensive collection of wedding rings in stock for you to browse. We also offer an in house engraving service. We can engrave your rings with your wedding date, initials or a secret message of love. Stop by today and let us help you find the perfect wedding rings.